Ripple Bowen specialises in helping your body to heal itself, and encourage relaxation and wellbeing. Located in the Santuary on Cookworthy Road in Busselton, your friendly, local Bowtech Bowen Therapist is Steve Burdett. With a keen interest in natural healing and massage, Steve decided to study Bowen Therapy after seeing the difference it could make to the health, wellbeing and ultimately entire lives. Especially seeing the wonderful results where other treatments and therapies had failed others. Seeing firsthand how this gentle treatment helped his wife, Steve sought to bring this healing and relaxation to others. Steve studied the Bowtech style of therapy under accomplished instructor and practicing Western Australia Therapist, Vianne MacBeth. Ripple Bowen moved from the Northern Perth suburb of Aveley, to the Sanctuary in Busselton in January 2016 when Steve returned to beautiful Busselton to live. 'I want to see people be all that they can be, and live in their bodies to their fullest capacity. All too often we meet those who through injury of one for or other, are restricted and unable to acheive this simple goal. To make an appointment with Steve, or to have a chat to him about how Bowen Therapy will work for you and your family, please see the Contact page for details. 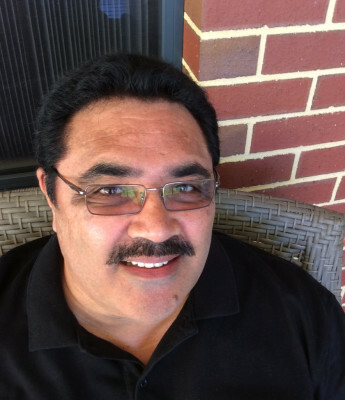 Steve participating in 'Movember' 2015. Raising money for the Movember Foundation.